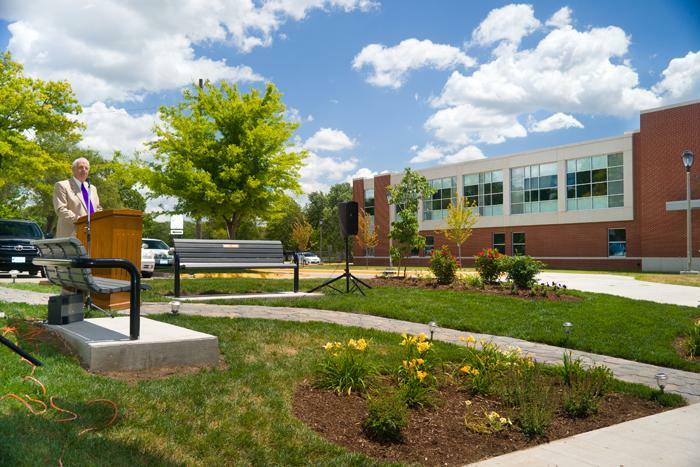 Long-time Truman professor Jack Bowen was honored posthumously with the dedication of the Bowen Garden June 2 on campus. For 42 years, Bowen worked in public education, holding positions in teaching, coaching, administration and intramurals. He passed away in March 2011 after a long battle with cancer. 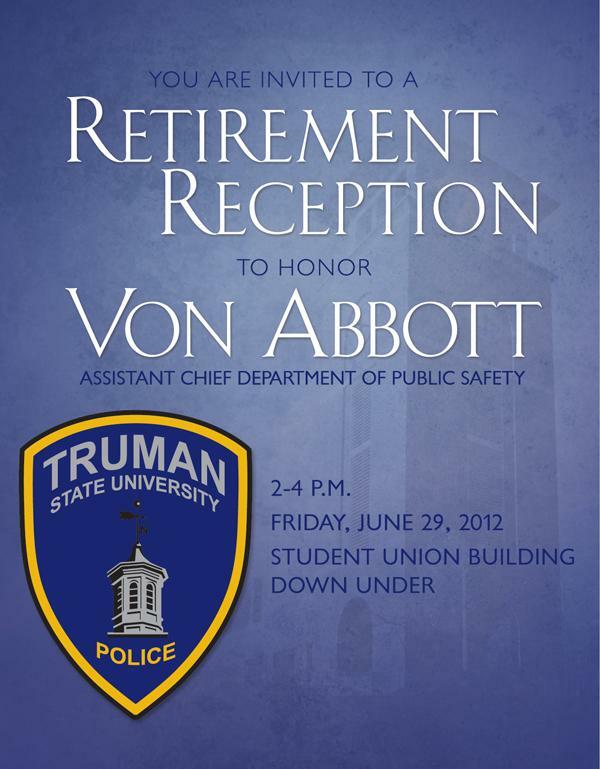 A native of La Plata, Mo., Bowen earned his bachelor’s and master’s degrees from Truman in 1958 and 1961 respectively. He started his teaching and coaching career in 1958 in the Pulaski public schools in Pulaski, Iowa. In 1960, he took a job with the Davis County public schools in Bloomfield, Iowa, holding positions in teaching, coaching and administration. He accepted a position at the University in 1966 in the Division of Health, Physical Education, Recreation and Dance, which is now Health and Exercise Sciences. Bowen is survived by his wife, Melba. The couple was active in selecting the recipients of the Jack and Melba Bowen Endowed Scholarship, established by Steve and Marilyn Barger through the Truman State University Foundation. The Bowen Garden is located near the east entrance of the Pershing Building and is intended to symbolize the life and values of Jack Bowen. Melba and members of the Bowen family were actively involved in the design and planning of the garden. The Bowen Garden was made possible through a generous private donation by the K.C. 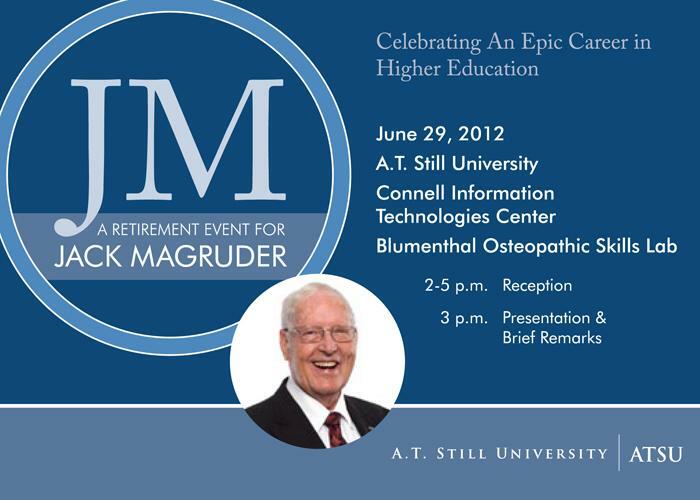 Summers Corporation and was installed by staff, faculty and students under the direction of Trumascape. The Garden will be maintained by members of Phi Epsilon Kappa, a professional service organization in the Health and Exercise Sciences. Larry Boleach, associate professor emeritus of health and exercise sciences, speaks at the Bowen Garden dedication June 2. Boleach worked with Jack Bowen for 40 years. A transcript of Boleach’s remarks is available at trumantoday.truman.edu/pdf/BowenTribute.pdf. At least three Truman students will participate in intercultural experiences abroad for the 2012-2013 academic year through the Fulbright U.S. Student Program. All of Truman’s Fulbright recipients will teach English in schools or universities. Students selected and the countries for which they received grants include: Michael Campbell, Mexico; Tina Schutter, Germany; and Katharine Seto, Bulgaria. Heather Slawson is currently an alternate for a Fulbright to Armenia. Truman health science students tied for second place in the 2012 American Association of Health Education (AAHE) Case Study Competition. Truman team members were Gina Hansen, Lisa Dworak, McKenzie Tate and Ali Coats. There were nine teams competing in this national competition, and each team had 10 minutes to explain their program and media campaign for this situation. Janice Clark, associate professor of health science, entered the team in the competition, but AAHE Case Study Competition rules do not allow faculty members to assist them with the solution to the problem. The team members received the problem and rules for the case study two weeks before the March 14 competition and traveled to Boston in March to compete. Due to a massive power failure, the convention was cancelled and the students had to videotape their presentation and submit it for judging. Student teams were evaluated on how well their solution met the following criteria: creativity and resourcefulness; attribution of sources; professionalism; and meeting the seven CHES (Certified Health Education Specialist) areas of responsibility. Truman tied with the University of Florida for second place, coming in behind Eastern Illinois State University. This is the third year Truman health science students have competed and placed in the AAHE Case Study Competition. They placed second in 2010 and first in 2011. Truman students participating in the AAHE Case Study Competition pose for a picture at the Harvard train station in Cambridge, Mass. Pictured, left to right: Gina Hansen, Lisa Dworak, McKenzie Tate and Ali Coats. 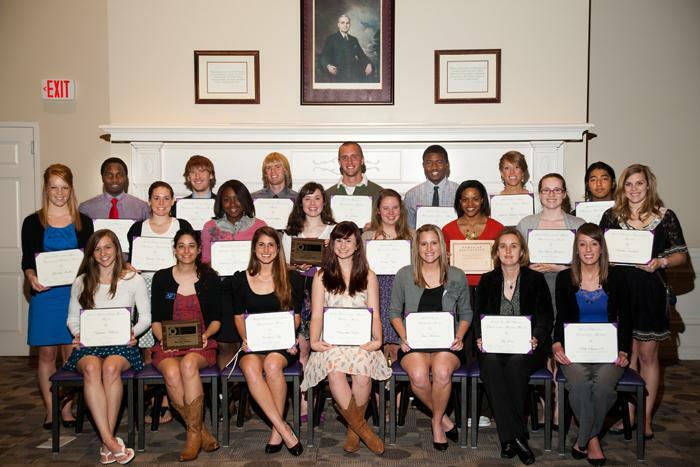 Truman’s chapter of Theta Alpha Kappa National Honor Society for Religious Studies inducted three new members May 3. 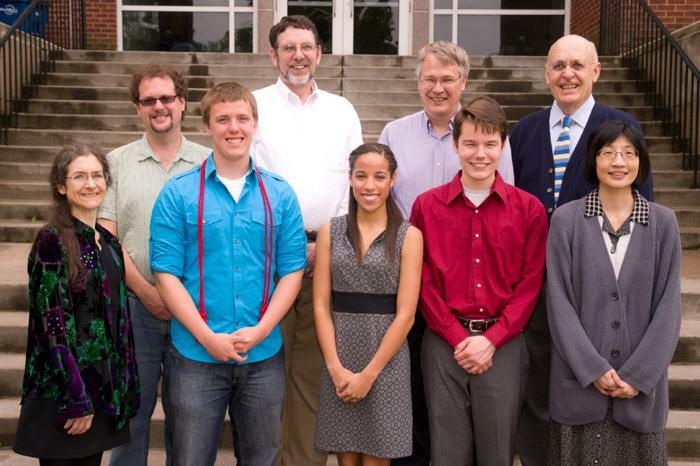 Pictured, front row, left to right: Patricia Burton, professor of philosophy; inductees Nathan Hardy, Jasmine Johnson and Ben Batzer; and Ding-hwa Hsieh, professor of philosophy and religion. Second row, left to right: Dereck Daschke, department chair and professor of philosophy and religion; W. M. Ashcraft, professor of philosophy and religion; David Murphy, professor of philosophy and religion; and Mark Appold, TAK moderator and associate professor of philosophy and religion. Students who take the requisite courses and excel in the discipline are chosen on a highly competitive basis by Truman’s religious studies faculty. In addition to encouraging the activities of local chapters, TAK maintains a vigorous national program of scholarship awards and fellowship competitions. Its primary publication, the Journal of Theta Alpha Kappa, offers an annual prize and the publication of outstanding student papers. Local organization are partnering together to sponsor a summer day camp for middle school students interested in exploring careers in the health care industry. Activities for M*A*S*H Camp include seeing the inside of a hospital operating room, learning to scrub in and sew up wounds, checking out an emergency helicopter and dissecting organs to find out how they work. M*A*S*H Camp is targeted to students entering 6th, 7th or 8th grade in the fall. All events will take place July 12-13 from 8 a.m.-4 p.m. at Northeast Regional Medical Center and Truman State University. Space is limited to the first 26 students to register. A limited number of scholarships are available to families for whom the $40 registration fee is a considerable hardship. Registration covers meals, activities and a t-shirt. For more information on M*A*S*H Camp, or to obtain a registration packet, call NEMO AHEC at 660.665.6404 or toll-free at 877.303.2938. M*A*S*H Camp is sponsored by Northeast Regional Medical Center, Truman State University and NEMO AHEC and its local planning committee. University Counseling Services has moved to the McKinney Center. Office hours are 8-11:30 a.m. and 1-5 p.m., Monday through Friday. More information is available at ucs.truman.edu. The University Board of Governors will meet at 1:30 p.m. June 16 in the Student Union Building Conference Room.